Image courtesy of Westland Distillery. 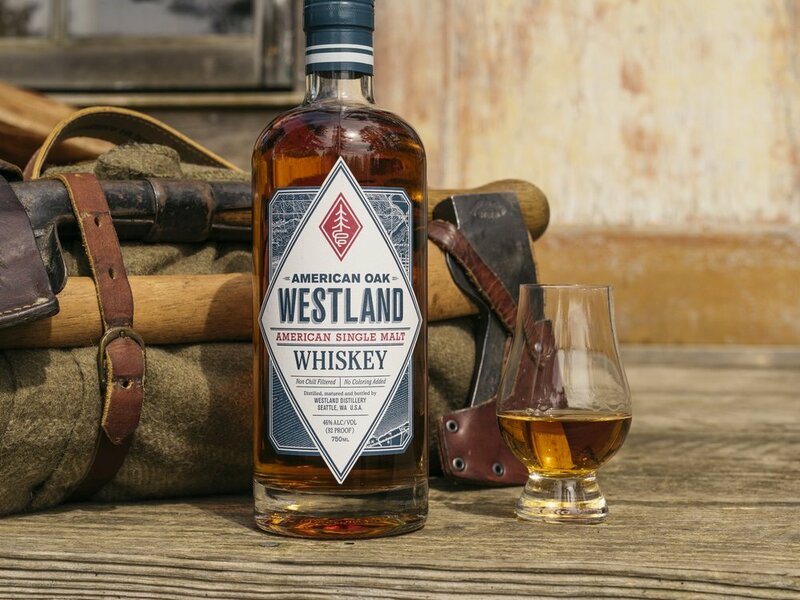 This whiskey is an impressive single malt - made from a blend of 5 malts (70% washington select pale malt, 10% Washington Munich malt, 12% Wisconson Extra Special Malt, 4% UK brown malt, 4% UK pale chocolate malt) and mature it in new American oak and first fill ex-bourbon casks, giving a very different profile than a typical Scottish single malt. It is brewed with Saison yeast, and has done extremely well. The quality did not go unnoticed - the 6 year old distillery was bought by Remy Cointreau for a significant sum last year. Bottled non-chill filtered and without caramel colouring. The nose is immediately nicely balanced – a complex mix of barley, fruit, and oak. Poached pears, banana, vanilla, toffee, light minerality, jasmine flowers, custard, white pepper, honey, sunflower oil, dried shitake mushrooms, dry oak – very pleasant. The oak on the nose is brilliant. The palate has a lot of jasmine tea, caramel, honey, oak, macadamia nuts, and some more white pepper. The finish continues with jasmine green tea, caramel, angelica, and clove. Lightly tannic, which I always like too – it gives the finish good grip. Highly Recommended (48% of all whiskies I’ve reviewed to date get this recommendation or higher). This is just a terrific display of a good single malt, done differently. It’s also rare to find a single malt that tastes so good at this age. Value: Average. A decent buy for the price.